InterSecurity Systems Can Keep You Protected and Secure! We offer many kinds of security systems designed to meet your specific home or business needs! From alarm systems to camera surveillance to access control – we are here to protect you!Learn More! Video monitoring, remote camera surveillance, perimeter control – this is just a few of the surveillance types we can provide for your home or business – and keep your home or business covered!Learn More! Restrict building entry and exit areas as well as monitor both with access control systems you can operate from remote locations on mobile platforms! We have your doors covered – from one to many!Learn More! Be surrounded with your favorite music choices – or entertain guests with media rooms, outdoor speakers, and much more! Our audio/video solutions are out-of-this-world impressive!Learn More! Rely on InterSecurity Systems To Keep You Covered! Whatever your security system needs – from basic to surveillance to access control and perimeter control – InterSecurity Systems provides up-to-date security technology for all of our customers! From selection of the right security system and technology to installation and follow-up maintenance as needed, we are passionate about helping our customers be protected and safe in any environment! Your family is the most important thing there is. Home security is something you won’t have to think about after you contact InterSecurity Systems. Our experience is second to none when it comes to installing the latest security equipment. For security systems contact us now. Click on the payment button to pay by credit card and with your PayPal account. 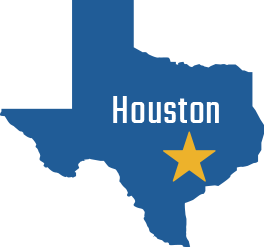 InterSecurity is now in Houston! We are proud to announce that InterSecurity Systems is now offering security solutions for the greater Houston metropolitan area for both commercial and residential properties.